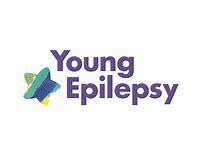 Young Epilepsy is a national charity supporting people aged 25 and under who have epilepsy or an associated condition. The charity exists to help those with epilepsy to fulfil their potential and ensure they have the best quality of life. With over 100 years expertise they provide world class diagnosis, assessment and rehabilitation for children and young people with epilepsy. Whilst also undertaking research into the condition and how it can be treated.